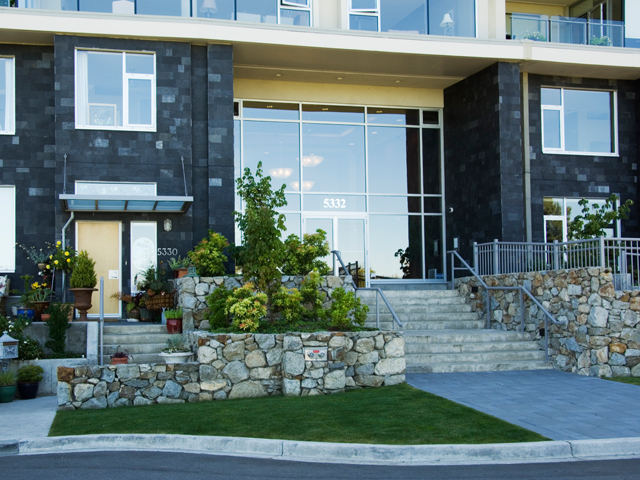 Part of a comprehensive redevelopment plan at Sayward Hill in Cordova Bay, Building 10 consists of 15 townhouses and 43 condominium suites in a six-storey serpentine building built against the slope edge. All suites face sweeping views of the spectacular Haro Strait and mountain range beyond with Mt. Baker as a focal point.